A high octane riff on Basquiat’s famous “Skull.” The colors define the piece, and hence, the colors are the main intention of this piece. It has a familiar feel, but is an entirely new vision on a wildly familiar and famous piece. Darth Vader is here to add the FUN, POP ART FACTOR! 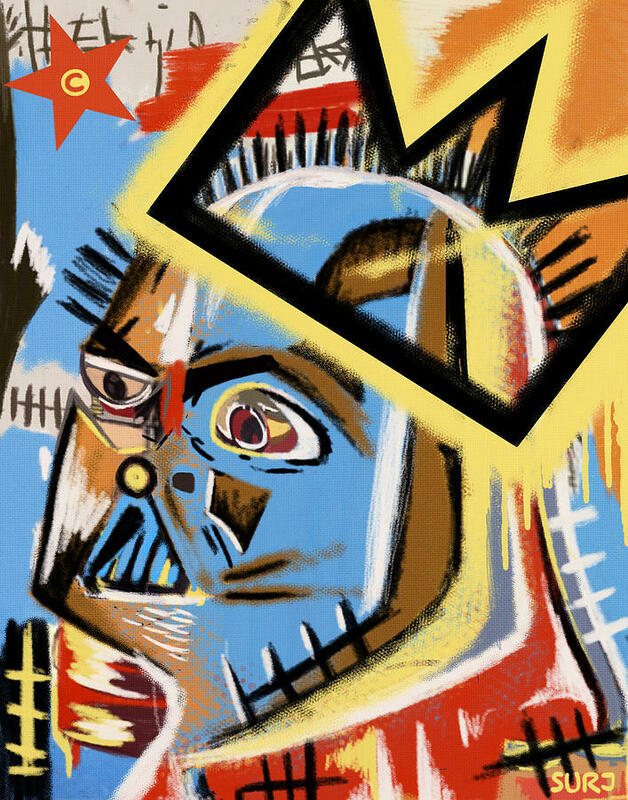 The piece is punctuated by the omni-present “Basquiat” Crown! Hope you enjoy!